Collecting Kentucky has an assortment of antique furniture. 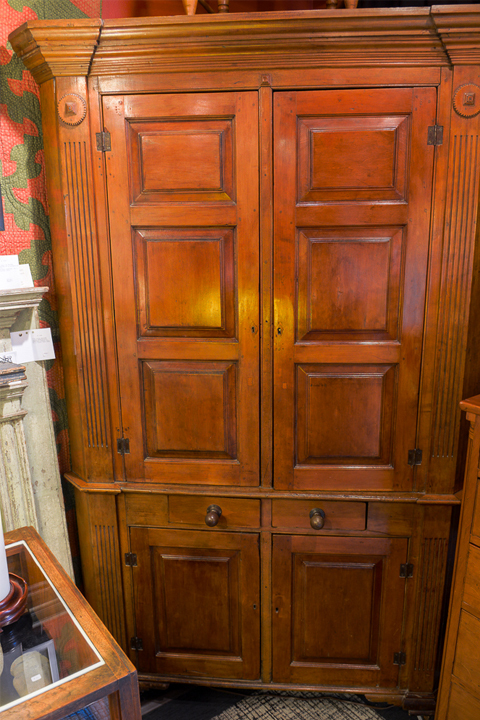 While inventory is continuously changing, we have pieces such as sideboards, sugar chests, desks and bookcases, sideboards and servers, cupboards and presses, chests, and chairs including children’s chairs, and textiles. Most of the items come from Kentucky and the surrounding states where regional differences can be appreciated down to the stylings of each county. Due to revolving inventory, we suggest you call (502) 895-1660 to inquire about particular pieces or styles in inventory.